As mentioned in a previous blog, I met a wonderful retiree, Mrs. Lu, whose little Huan-huan brought us together along our Yangtze river road. The dog’s name, Huan-huan, means “welcome” in Chinese, which is certainly what he does whenever visitors arrive to his home. I’ve had dinner with Mrs. Lu twice now and last week brought me more information about her family and herself. 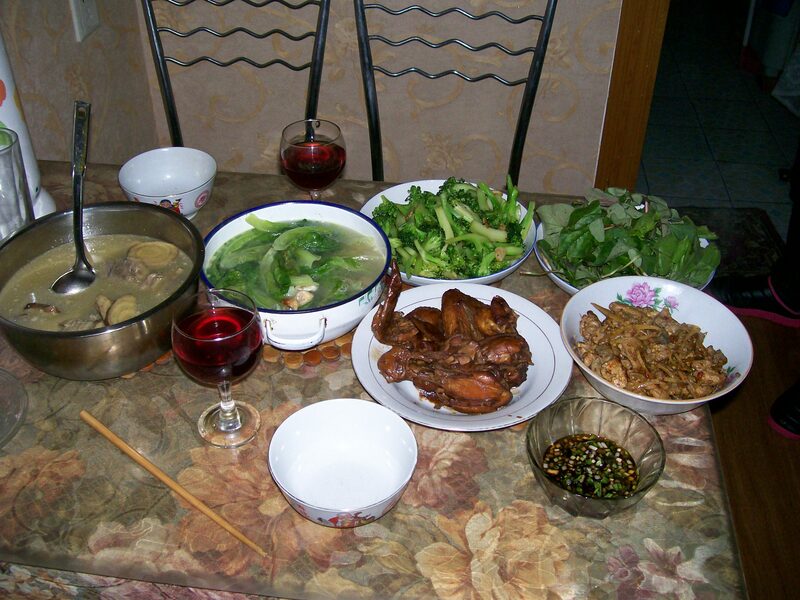 While enjoying a meal of stir-fried broccoli, roasted chicken, egg-and-spinach soup, spicy rabbit, and taro-and-pork stew, Mrs. Lu told me her story. Another great dinner,along with great conversation. Her father was from Thailand. He came go Chongqing, a 2 ½ hours bus ride from Luzhou, looking for work. There, he met her mother and they were married. 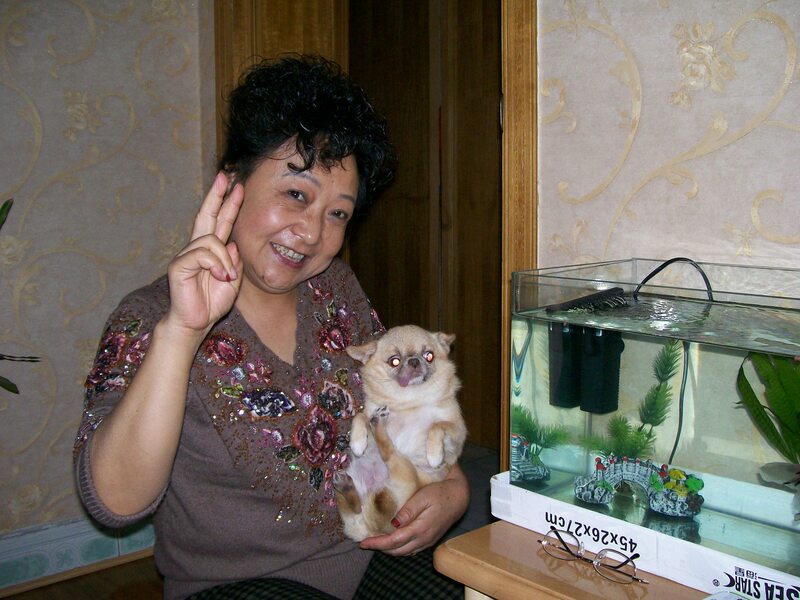 Her parents brought the family to Luzhou when she was 3 years old. She’s the youngest of 3 children with an older sister who still lives in Chongqing and an older brother who is here in Luzhou. I had no idea how old she was until she thrust her Chinese ID card at me, which listed her having been born in 1939. That surprised me. She certainly didn’t look 73 but there it was. During my first visit, I brought several photographs of my family and also of myself to give to her. This second visit, a Mary Kay hand care kit in a cloth pouch came in handy which my aunt gave me for Christmas. I’d been saving it for a special occasion and thought Mrs. Lu would enjoy it more than I. 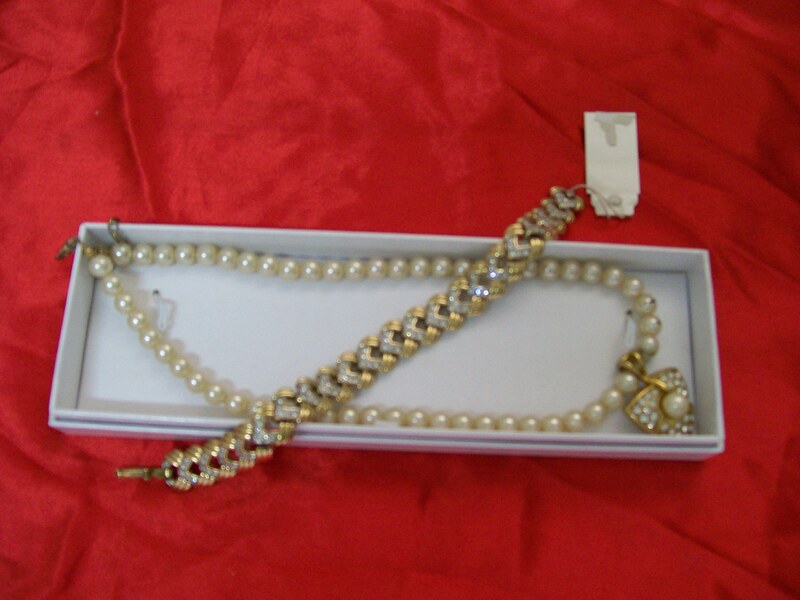 And in return, she pulled out a necklace and bracelet set her daughter had given to her which she never wore. Despite my protests, it was thrust upon me with such determination that I accepted it. Now I have a nice memory of her every time I wear her gift. I’m sure the more dinners I accept, the more we’ll be learning about one another.